Bring on the horses!! 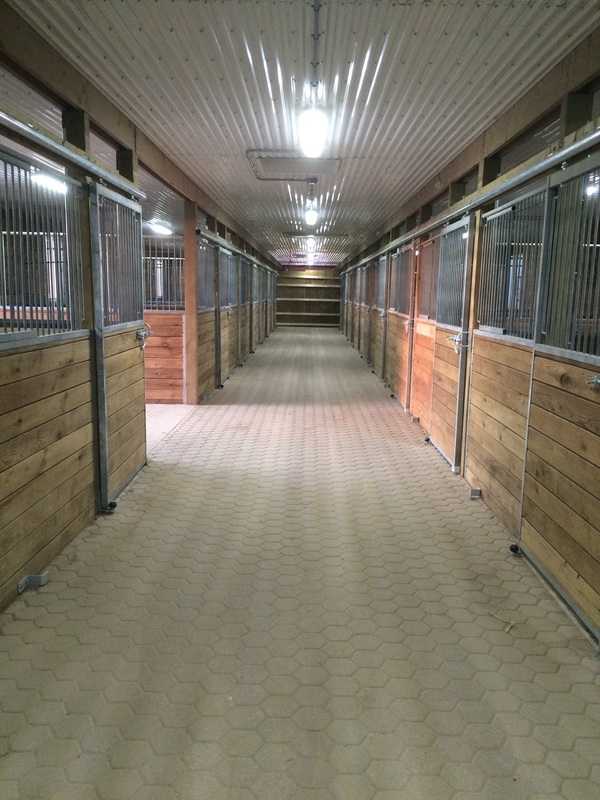 Post construction has done a great job getting most of the renovated barn ready for Shauna MacLean Performance Horses and the first 12 horses to move in later this week. A temporary wall is up separating the horse area from the new construction/two storey addition. Fencing is basically done at the front of the property. Dutch doors coming early this week as is the new arena footing. Only windows not delivered until mid October but window grates are in and the weather seems to be cooperating. Feed, bedding and basic supplies ready and waiting. Feed bins, hay feeders, auto waterers installed along with new door hardware and tracks. Trusses going up this week as well.